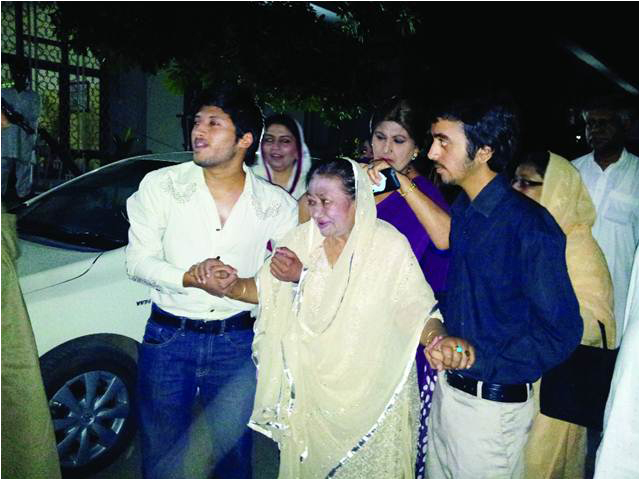 LAHORE: The legendary Pakistani singer Zubaida Khanum has passed away after protracted ailment in Lahore on Saturday. The well-known naat ‘Shaah-e-Madinah’ was also originally rendered by Zubaida Khanum. In the 1950s, Khanum was the top female singer in Pakistan for both Urdu and Punjabi. She was first introduced in the film ‘Billoo’ in 1951, but it was her playback singing in ‘Shehri Babu’ in 1953 that took her to the heights of stardom in the Pakistani film industry. What followed were various hit songs including ‘Teri ulfat mein sanam dil nai buhut dard sahey’ and ‘Kaise kahoun mein Alvida’ that defined not only her career but earned her a place in the hearts of Pakistani film and music aficionados.